At Kaleidoscope, children’s safety and well-being are our top priorities. We match children and youth with temporary foster families and permanent adoptive families who provide the stable, loving homes they need to succeed. Kaleidoscope’s foster care program is specifically designed to serve children and youth who require more intensive services as a result of specialized mental health, behavioral, medical or pregnancy/parenting needs. DCFS trusts Kaleidoscope with these high-need children because of our track record of excellence in matching kids with the right families and the right care. When DCFS determines that a child is unsafe in their biological family’s home, they refer the child to us. We establish a specialized care team of our social workers, family workers and medical personnel to identify the child’s needs and connect them with a highly-trained foster family who provides therapeutic support from the start. Our teams make regular visits to the foster home and are available around the clock. We offer Intensive Placement Stabilization Services, monitor the child’s progress through ongoing case management, manage referrals to any outside services and provide ongoing training and support to the foster family. Together, we ensure the child’s safety and offer the support, patience and guidance kids need. Whenever possible, we work to reunite the child with their biological family. We collaborate with DCFS as they help parents successfully resolve the issues that led to the child’s removal from their home and ensure the child will be safe and well cared for. In addition to serving youth with specialized needs, Kaleidoscope’s foster care teams work with adolescent parents who require out-of-home placement. 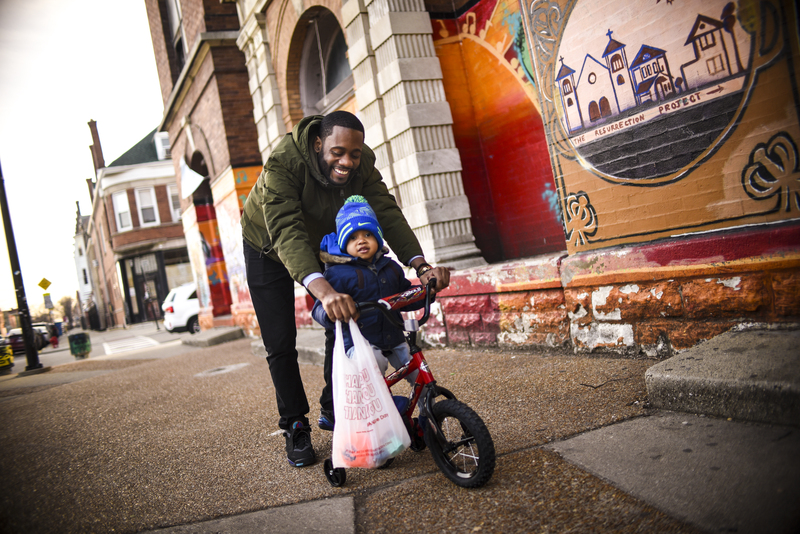 Young parents in this program have the opportunity to learn effective parenting skills and accept responsibility for themselves and their children, while in the care of a foster family home. These foster parents have special training to care for both the adolescent parent and their child and to model good parenting that our teens can replicate. If a child cannot be safely returned to their biological family’s home, Kaleidoscope’s expert teams find an adoptive home or another permanent placement that will provide the safety and stability that children need. There is always a need for more foster parents in Chicago. Kaleidoscope offers training, guidance and support for prospective foster parents as they go through the application process and seek their licenses. View upcoming foster parent orientation dates. Due to the varying needs of Kaleidoscope’s children and youth, we provide specialized, ongoing training for our licensed foster parents. By equipping foster families to best care for the children and teens we serve, we ensure that foster youth get the care that they need and minimize the need for placements with multiple foster families. Learn more about becoming a foster parent. In FY16, we provided 113 children with safe, loving foster homes. In FY16, 86 percent of our youth lived with a single, nurturing foster family, avoiding the trauma of moving from home to home. In FY16, 10 of our youth achieved permanency through adoption or guardianship. We are always in need of new foster parents to provide safe, caring, long-term homes for the children and youth we serve. Learn more about becoming a foster parent. For additional information on Foster Care & Adoption Programs, email us. We are always in need of more foster parents to provide safe, loving homes. Join us for an upcoming foster parent orientation to learn more.